There are much confusion and many myths about airbrush makeup versus traditional makeup application. 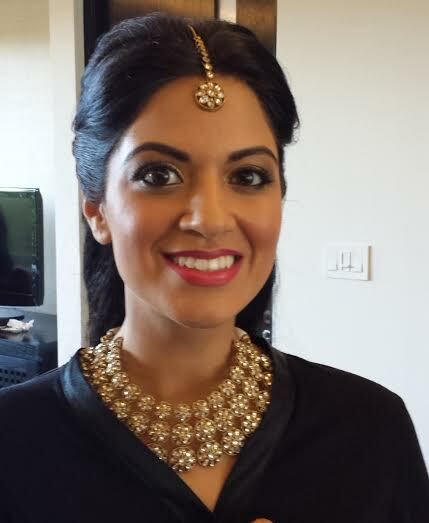 We hope to clear up some of this and give you the facts so that you can make an educated decision on whether you want to incorporate airbrush into your wedding day look or go the traditional route. Airbrushing is a newer technique that became popular for its unique application with an airbrush gun. This seems easier and with a uniform layer many believe it gives the look of a flawless complexion. The product used in airbrushing is very thin and comes out as a fine spray almost like pixels covering the surface of the face. The truth is that it is a very thin layer of makeup and that it will accent your complexion, but not cover up flaws. This saying, if you have flawless skin, the result will be glowing flawless skin. However, if you have not-so-flawless skin, those imperfections will still be there. 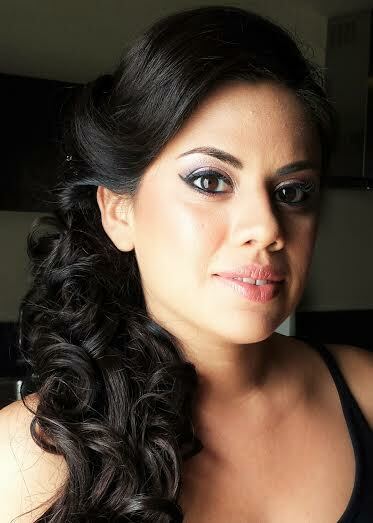 A trusted airbrush artist can compensate for that by layering airbrush makeup for a heavier coverage. It is important the experience here of the makeup artist on how to correctly use this technique. This look was created with traditional foundation. For those with imperfections, another way to use airbrush is to top off traditional makeup. Traditional makeup being applied by a professional with a brush or sponge can create a flawless look even if that is not your natural appearance. Traditional base is thicker and can have different consistencies from pancake to liquid to gel to cream to powder as well as lots of formulas and coverages from tint to full. With this kind of versatility, traditional makeup can be used in any situation, any time and can add to its variety by application method from fingers, to brush to sponge. The technique can add or subtract from the coverage needed. A talented artist can work the product to achieve a flawless look almost like sculpting. Then, if you wish, you can apply a layer of airbrush to top it off, but it may not be necessary. This is up to you. Many are under the idea that airbrush is waterproof. It doesn’t matter if the makeup comes out of an airbrush for it to be waterproof. It is the formula make up that makes a makeup waterproof. There are formulas that can be used in the airbrush machine and there are also sealants that can be used to seal the makeup and give a waterproof layer. But just because it comes out of an airbrush machine does not mean it’s automatically waterproof so if that is what you desire be sure to ask. In fact, airbrush makeup sets well but cannot get wet through tears etc. If it gets wet it will streak and the only way to fix it is to start from scratch. Touch ups with airbrush makeup can be difficult. Airbrush alone is best used on someone with near perfect skin or in a circumstance where touchups can be done every so often such as on a modeling or movie set. 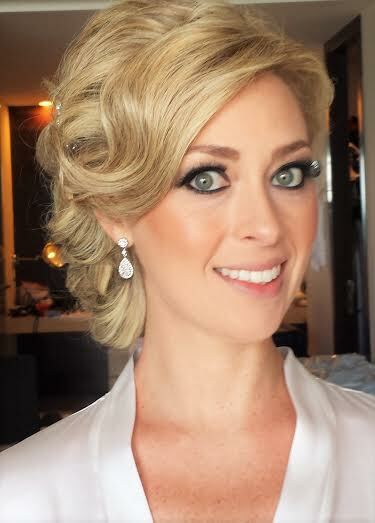 Rarely in a wedding setting will you have a makeup artist on stand-by every time you need a touchup. So it’s necessary to be sure you have the effect you want with a long lasting product or with a sealer to prolong the look you want especially in the Caribbean climate such as Playa del Carmen or the Riviera Maya. It is all about the artist. Some artists can give you that airbrush look with traditional makeup and that is easier to touchup throughout the day. And there are artists that are available your entire big day so that they are available for you for any touchup you may need. Traditional makeup can be more forgiving and more flexible to use and get different looks where airbrush is the same uniform look. Again, it’s really up to you. A word of caution: many people get airbrush makeup confused with the airbrush technique of Photoshop. There is a big difference! Where airbrush makeup is a thin veil of base applied to the skin and the airbrush technique is what magazine editors use to eliminate flaws from models in photos. Be sure you aren’t caught in the myth that airbrush makeup makes you flawless. The perfect use of airbrush with traditional style makeup application. It’s been more the marketing of airbrush that has made it seem like a superior product to traditional makeup. Both styles have their place and can easily work together, as well. But now that you have the facts you can decide which is best for you. In most cases it will be a combination of both. Just remember the most important part is the experience and talent of the makeup artist whether it’s airbrush or traditional makeup or both. So when it comes down to it, the marketing doesn’t determine what is best for you on one of the most important days of your life. It is what works best for you and what will make you feel amazing and whimsical on your Big Day. With either technique, it is most important the experience of the makeup artist. The best way to find out is to do a trial with both before your wedding. Check out Doranna’s custom packages that you can factor a trial in so that you can be confident before your ceremony.